A real West Coast treat is in store for next Wednesday, November 26. 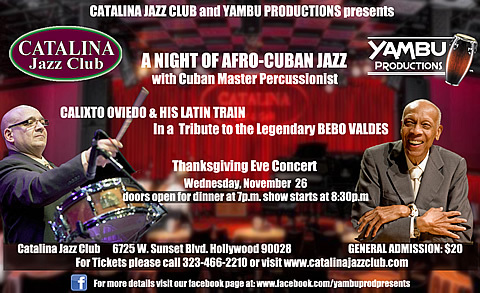 This Thanksgiving Eve Concert is a Night of Afro-Cuban Jazz w/ Cuban Master Percussionist Calixto Oviedo & his Latin Train In a Tribute to the legendary pianist Bebo Valdés. The performance will feature some of Bebo’s hit songs as well as classic Afro-Cuban jazz standards and Oviedo’s original compositions. 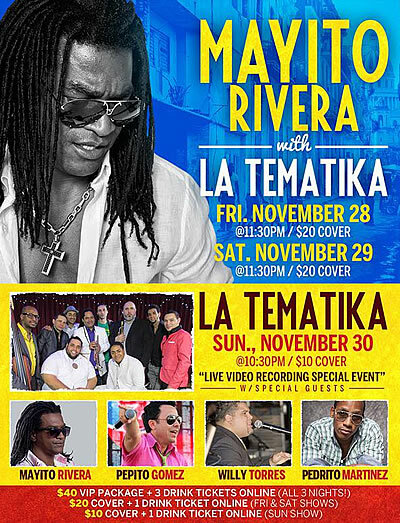 Then in the Big Apple, we have a 3 night residency -- November 28, 29 & 30 -- with MAYITO RIVERA y la TEMATI-K at González y González, cuminating in a special live video recording with special guests Pepito Gómez, Willie Torres and Pedrito Martínez. Cubans Worldwide Unite for "Guantanamera"
Playing for Change is a multimedia music project, created by the American producer and sound engineer Mark Johnson with his Timeless Media Group, that seeks to inspire, connect, and bring peace to the world through music. 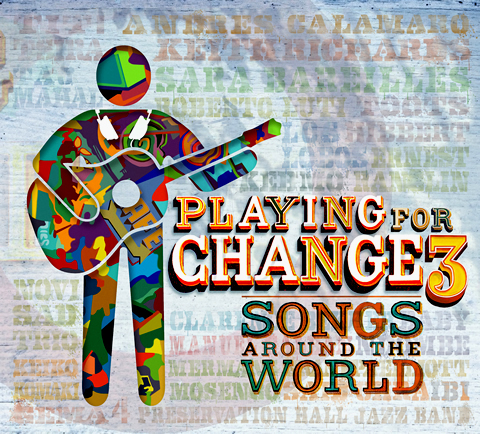 Playing For Change also created a separate non-profit organization called the Playing For Change Foundation, which builds music schools for children around the world. IT'S ALIVE!!! Beyond Salsa Bass Volume 3 is a historical behemoth of a Latin Bass Book! Doubling as a history and music appreciation course, at 442 pages, Beyond Salsa Bass Vol.3 is by far the longest of the 26 Beyond Salsa books and the first to extensively cover New York and Puerto Rican salsa and pre-salsa as well as Latin jazz. Its audio product (separate purchase) has 616 tracks (a generous selection of 60 free audio tracks is also available by download). 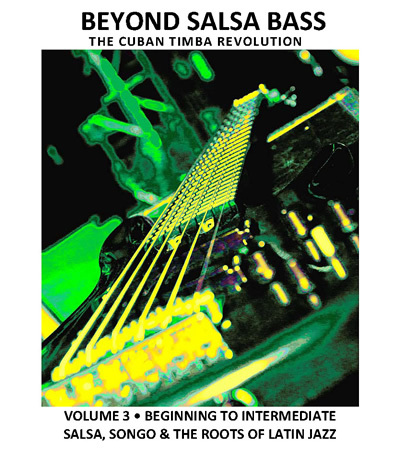 The book includes a bass tumbao for every piano tumbao in each of Volumes 3 and 4 of the Beyond Salsa Piano series, but it also includes hundreds of bass tumbaos from and historical analyses of areas of Latin music not covered in the piano series: Puerto Rico, New York, Latin Jazz, the Cuban descargas and additional aspects of the Cuban music of 1959-1989, i.e., from the Cuban Revolution to the Fall of the Berlin Wall. In other news about the Beyond Salsa Series, in addition to Bass V3, the next book is almost done as well - Beyond Salsa Piano, Vol. 12 - Pupy Pedroso, Pt. 3 - Los Van Van in the 1990s. 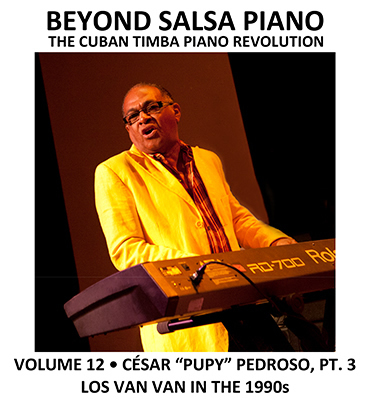 The book is equal parts history and piano - covers Van Van's amazing transition into the timba era, arguably van van's greatest period, which includes the top two songs in the timba.com readers poll - Soy todo and Te pone la cabeza mala, and the top album, Llegó Van Van. ¡ Aquí viene el SALSANIMAL ! 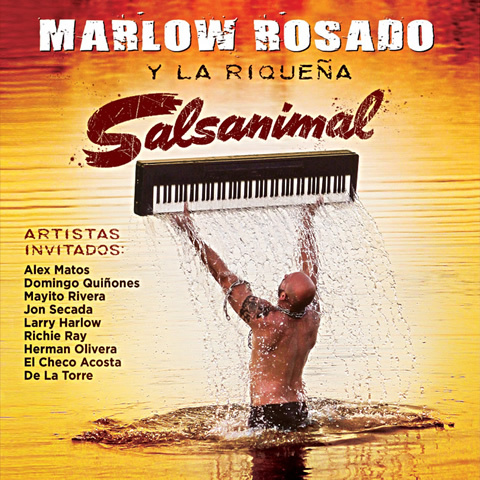 This newest release by Marlow Rosado & La Riqueña, whose last album Retro won the GRAMMY for Best Tropical Latin Album in 2012, is a Salsa Dura album with an interesting blend of Cuban, New York and Puerto Rican Styles. As was the case with Retro, there is an impressive supporting cast of guest artists, and this album branches out a little more stylistically. There are a few touches of Timba piano phrasing and Cuban Descarga in the opening track, Intro Salsanimal. Asi Son brings in Cuban Sonero and Timba legend Mayito Rivera for a turn at Salsa Dura. Quiero Que Me Quieras has a very Puerto Rican (but uptempo) vibe. No Me Interesas has a New York Salsa Dura feel with an unusual (and pretty cool) brass section arrangement. Cataño opens with some street sounds and is an homage to the municipality that is known as "La Antesala de la Capital", San Juan, Puerto Rico. Como Te Extraño Nena is also a hard-driving Salsa Dura piece. Yo Se Que Un Día is a soulful, richly orchestrated bolero/guajira. Puertas Del Jardin, which give a shout-out to Cartagena and Medellin, incorporates some Cumbia passages in one of the more laid-back songs in the album. 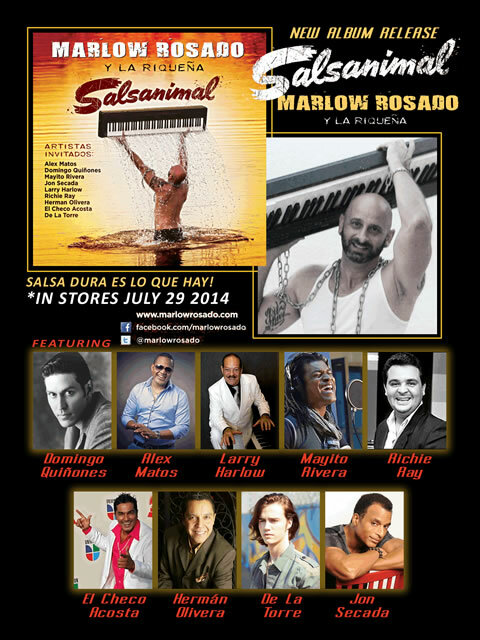 Todo Se Lo Llevo is one of two Salsa Romantica tracks in the album. 88 Mil Teclas brings in Larry Harlow and Richie Ray for a piano duel. It would be a lot of fun to see this live. The album cools down at the end with the tasty Todo A Tus Pies. The one English-language song in the albumn is Ok, Here Is The Truth, which features Pop / R & B star Jon Secada in a very heartfelt Salsa Romantica number (the lyrics are heavier than you typically hear in this style, but I won't include any spoilers here). Salsanimal is aimed squarely at dancers - the songs are all dance-floor length, and outside of 88 Mil Teclas, the focus is on section work and vocals rather than instrumental solos. BUT, the arrangements and section work are excellent and at times innovative - Marlow's extensive musical resume is put to very good use here, and this won't bore musicians either. Highly recommended for Salsa fans.